Posted 10:12 am, Apr. 10, 2019. Each spring, Professor Mark Cohen helps students get hands-on business experience in Israel as they consult for companies on a variety of objectives. While geographically tiny, the country has a huge concentration of both financial and intellectual capital, and businesses from small startups to huge multinational corporations have offices in Israel. In addition to touring company offices, students also visited major historical sites during their trip. Below, four MBAs explain the highlights of their travels. Overall, the trip was an incredible experience. Professor Cohen did an amazing job at planning a trip that was educational and fun. 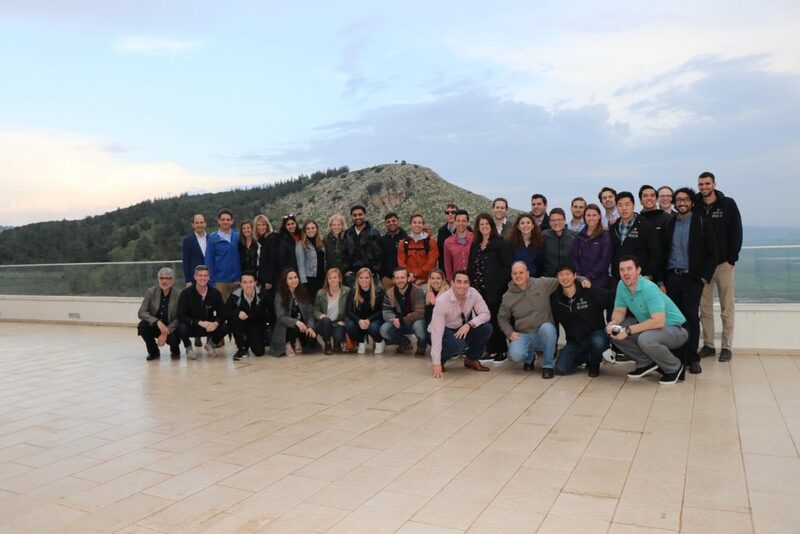 The purpose of the international seminar course is to connect Owen students with Israeli startups and allow students to work with the startups to accomplish business objectives. At first, I was under the impression that the trip would mostly consist of us working directly with the Israeli entrepreneurs every day. However, I quickly found that the trip was much more than that. We had the opportunity to interact with dozens of entrepreneurs and investors that work in a number of industries including cyber security, AI, autonomous vehicles, healthcare tech, and many others. I was continually impressed by the innovative and collaborative nature of Israeli culture. Additionally, we were able to visit historical sites and tourist attractions. Some highlights include: the Holocaust museum in Jerusalem, the city of Nazareth, the Western Wall, and the Dead Sea. Every day was a new learning experience, but we also had time to explore, try new foods, and enjoy Israeli nightlife. While founded in 1948, Israel is situated on lands with thousands of years of rich history. 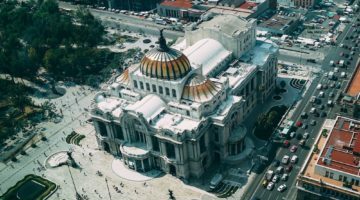 From the Romans to Jewish and Islamic patrons, many men and women have called it their homeland and it is now a historical and religious mecca. 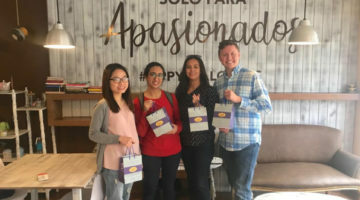 Not only did we get a taste of this ancient history and the diverse religious facets on our trip, but our group of 30 MBA students also explored startup businesses throughout the country. From cyber security to irrigation tubing, Israel is now the startup nation of the world, with over 1,400 startups within a country of only 8 million people. 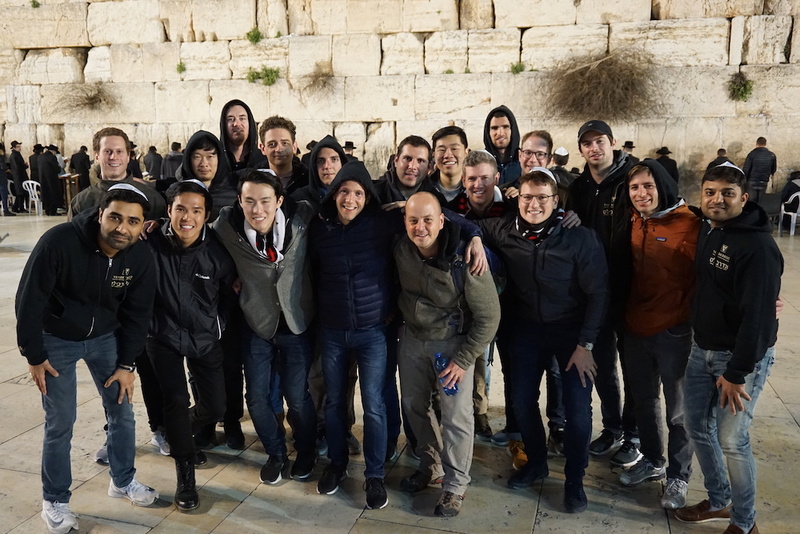 Our group had a chance to interact with the youth and see the nightlife of Tel Aviv, learn what it takes to be a successful private equity investor within the skyscrapers of the capitol, and enjoy the boardwalk on morning runs. We traveled in Jesus’ footsteps through Nazareth and Jerusalem and paid homage to the many lives lost in the Holocaust at the striking and somber Yad Vashem Museum. When it came time to celebrate Shabbat, we were welcomed into the home of a generous Jewish couple who shared their culture and celebrations with us, as we sang and sipped the night away. With these words, our tour guide, Ronen, introduced us to the spirit of Israeli people. When I reflect on our trip, our time with Ronen represents our class’s experience of Israeli culture: Warm, direct, hard-working, thriving in tradition, and momentous to our memories. There was never a dull moment, and kudos to Professor Cohen for creating an experience of a lifetime! Anyone who wants to understand how cutting-edge technologies can be developed with limited resources should visit Tefen Industrial Park in Nazareth, Tech 7 in Be’er Sheva, and Ben Gurion University. The undying spirit of the Israeli entrepreneurial ecosystem and the indomitable dreamers will continue to inspire me for years to come. If we were learning about the venture capital ecosystem during the day, by the evening, we were all chefs cooking delicious middle eastern dishes at a winery. In between startup visits, we also saw historical and cultural landmarks such as the Yad Vashem – The World Holocaust Remembrance Center, which moved me to tears, and a church in Nazareth where I had a stirring spiritual experience. Visiting Israel, affectionately referred to as “Startup Nation,” will forever be one of my most memorable experiences. Most people are aware that Israel has a sensitive and dynamic history. So when the opportunity arose to learn about the history, the current state of affairs, and the contributing reasons why Israel has more technology startups than anywhere else in the world, I jumped at the chance! 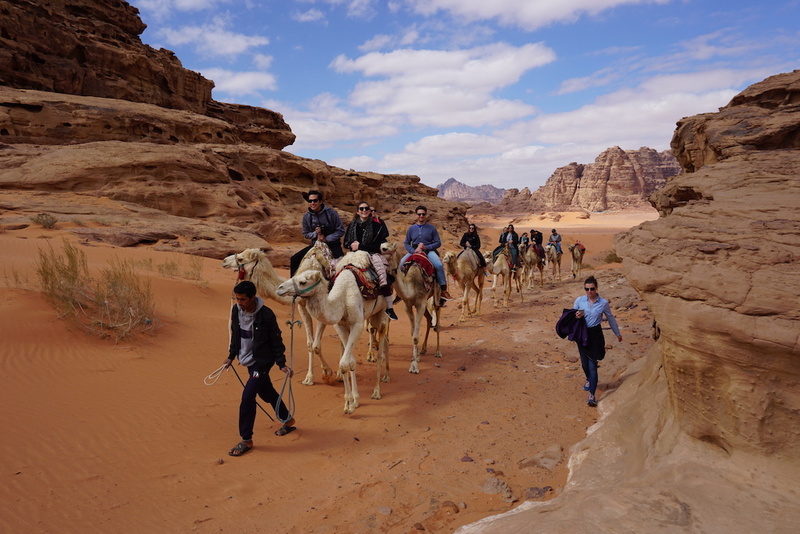 The goal of the trip was to investigate how an arid country in the middle of the desert with a population of only 8 million people could be one of the foremost leaders in technology and innovation. To accomplish this, Professor Mark Cohen leveraged his experience and connections to create one of the most dynamic and thorough trips of my life. The moment we set foot in Israel, we ate an abundance of incredible food and visited an automotive technology startup. From there, our trip explored the offices of a venture capitalist, a defense electronics company, and the Air Force Base. Our group attended a private lecture by a phenomenal Israeli Arab journalist and also went on a guided tour of an incredible Holocaust museum (where so many of my gaps in history were filled). Our experience wasn’t all business: Mark also arranged a visit to a vineyard (yep – grapes exist in Israel) followed by a cooking class where we all collectively prepared a very Israeli dinner which included falafel, Israeli meats, and baklava! We got to float in the Dead Sea, visit King Herod’s desert fortress, and share a Shabbat dinner in an Israeli family’s home. Our tour guide Ronen also gave an incredible historical walking tour throughout the old city of Jerusalem where every aspect of the trip was ultimately tied together.